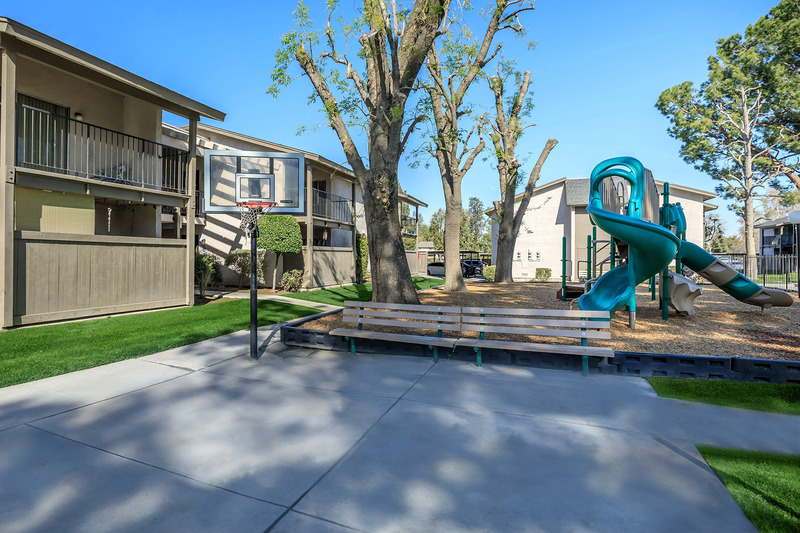 Situated in a well-kept Bakersfield, California area, Raintree Apartments offers all the perks of living in the city without the hassles of city living. Raintree Apartments is just minutes away from a wide selection of dining, lots of shopping and entertainment. You'll love being so close to every important convenience that is located just steps outside your door. Our stylish one, two and three bedroom floor plans are creatively designed with attractive feaatures to enhance your lifestyle. Our spacious fully-equipped all electric kitchens with breakfast bars, open living areas, plush carpeting, washer and dryer connections, central air conditioning, window coverings, patios, and balconies are just a few of the standard features you will find. These residences are sure to please and inspire! Become a resident of Raintree Apartments and gain access to all the wonderful community amenities and services we offer. 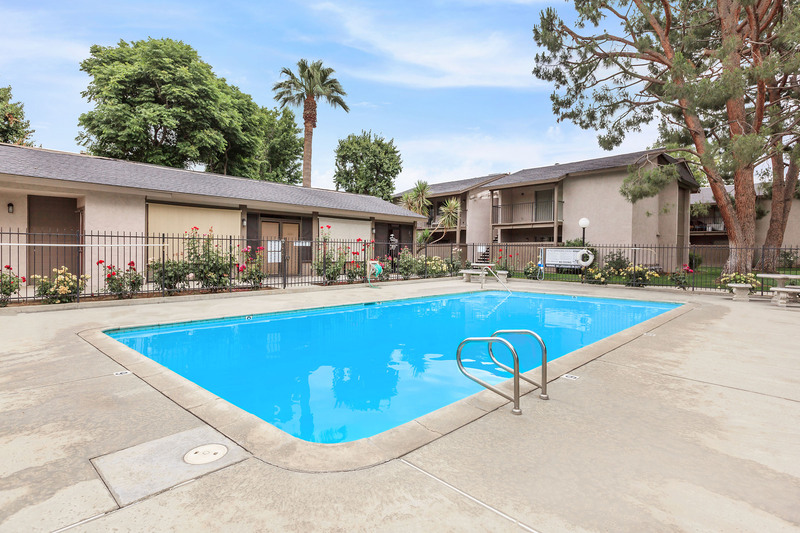 Community amenities include a refreshing pool with sun deck, a clothes care center, a basketball court, covered parking, a play area, beautifully landscaped grounds, professional management and more! Raintree was designed to compliment your personal lifestyle and provide convenience for stress-free living. View our photos and see why Raintree Apartments is the ideal place to call home.